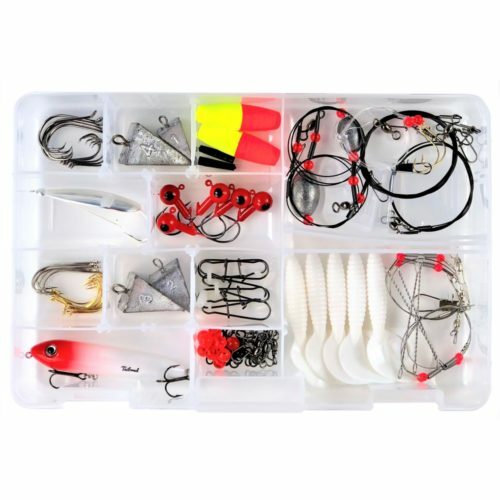 Categories: Bass Fishing, Fishing Tackle Kits. 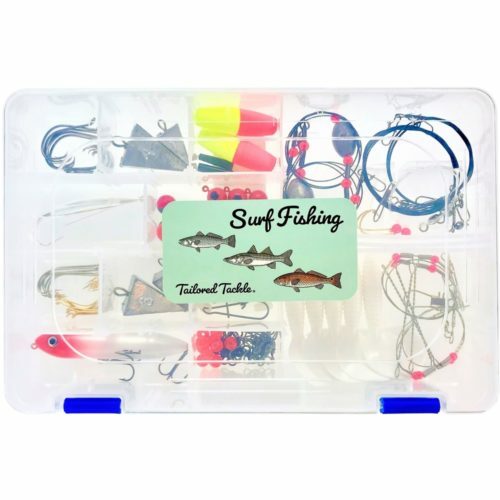 Start catching Bass on the right lures and tackle with the Bass Fishing Kit. 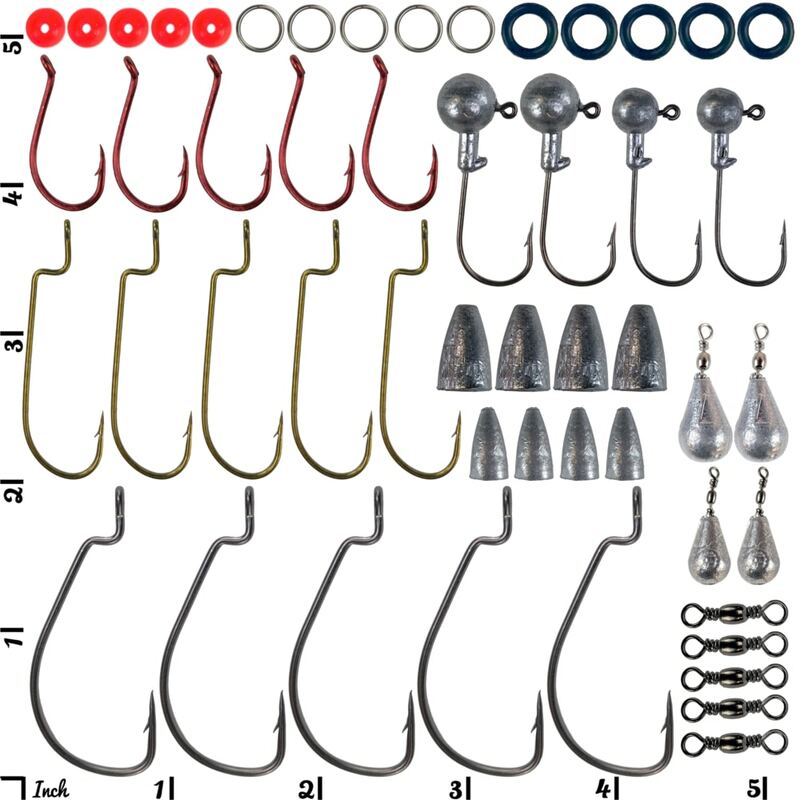 Target Smallmouth and Largemouth Bass in Lakes and Ponds throughout the country. 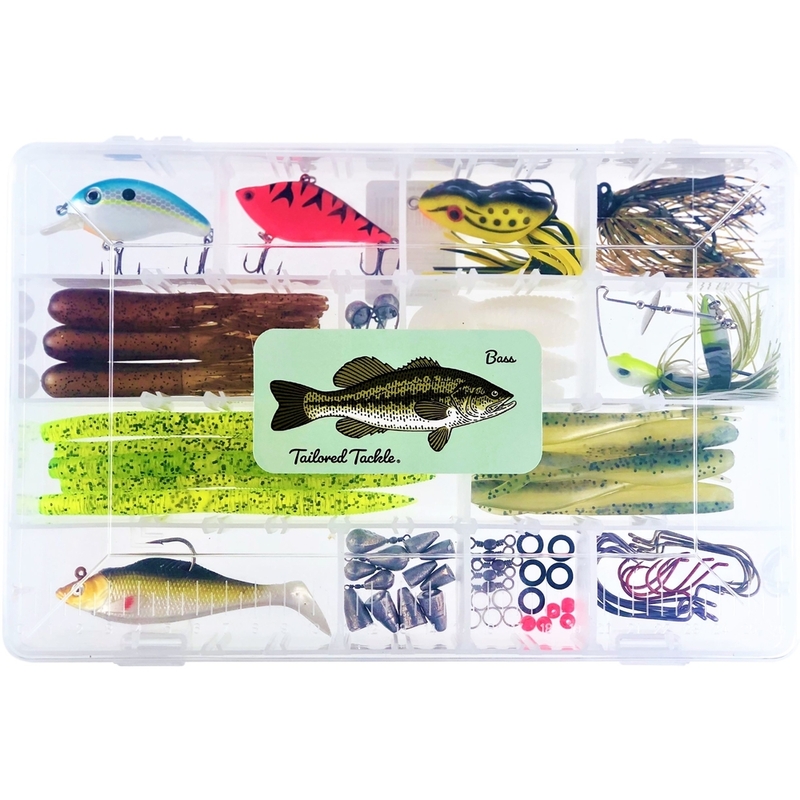 Designed by fishing guides to give you the most popular Bass fishing lures and rigs to get you catching more Bass. 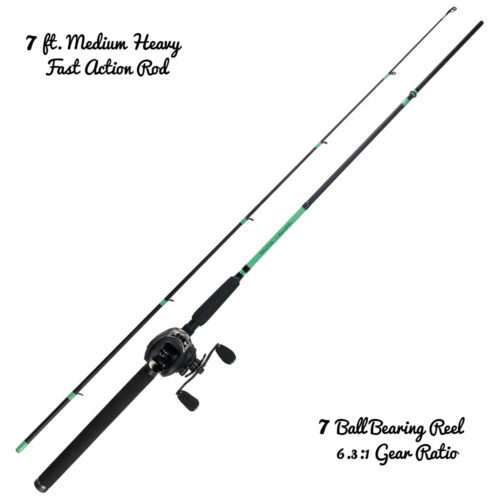 Our guides came up with the perfect combination of Bass fishing gear in the right colors, sizes and pairings to successfully target Bass. 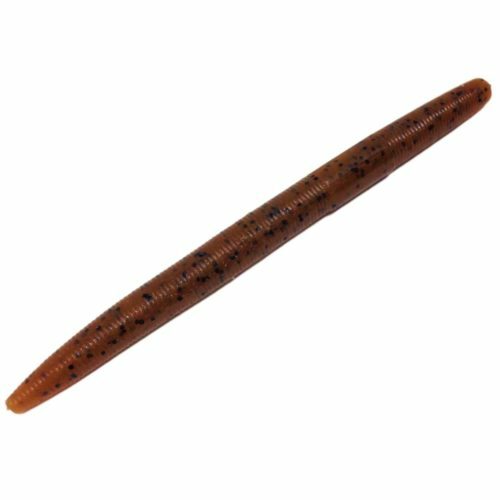 Rig up Soft Bait Worms with Bass Hooks and Sinkers for the Texas Rig, Carolina Rig, Wacky Rig and Drop Shot Rig. 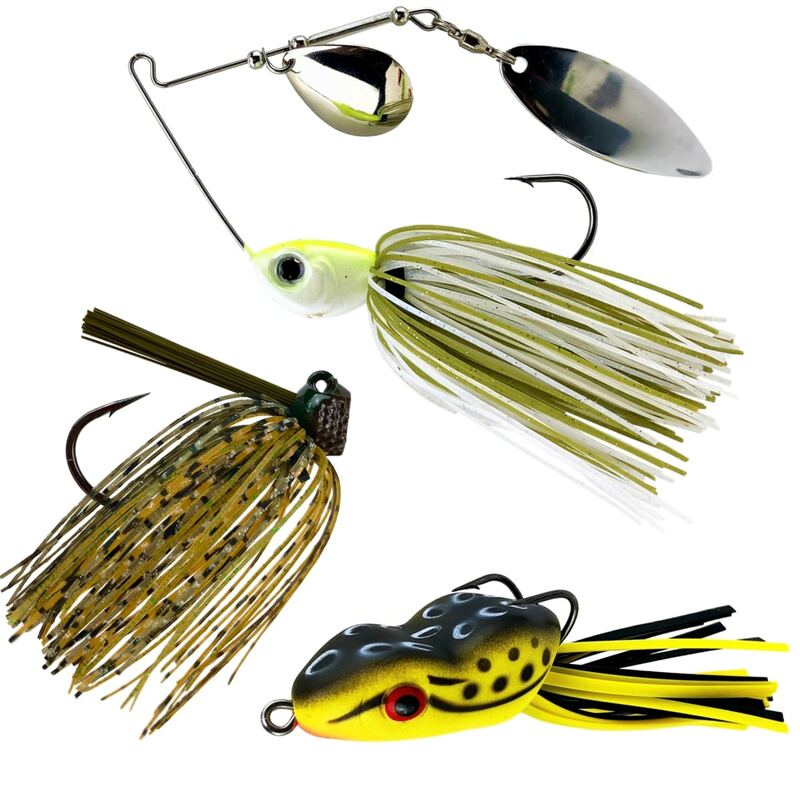 Baitcast the shallow diving Square Bill Crankbait in ponds or jig n rip the Lipless Crankbait in deep water structure. 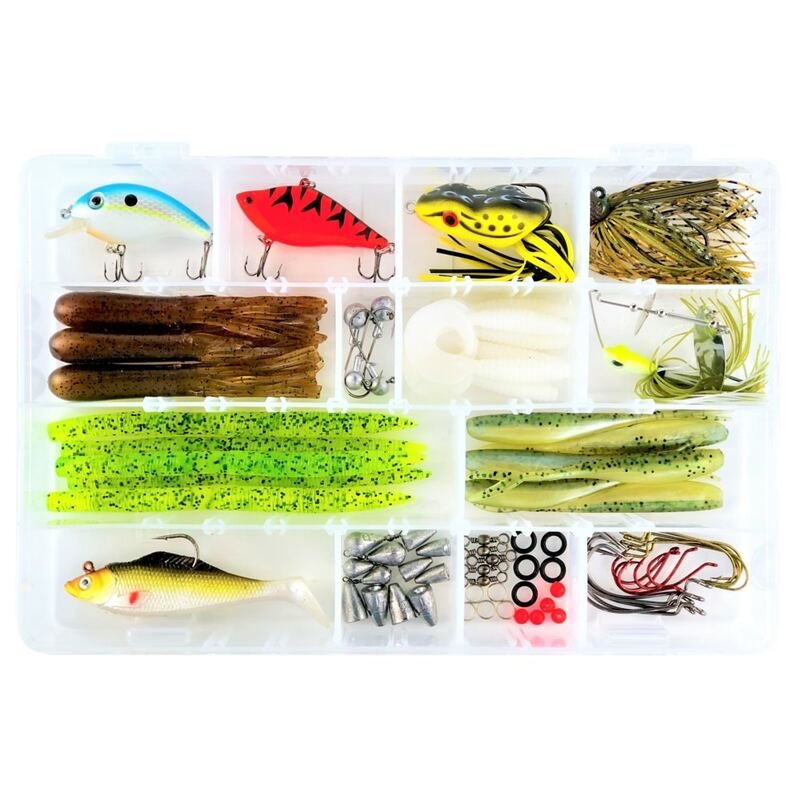 Flip and Pitch the Football Jig under docks and overhangs. 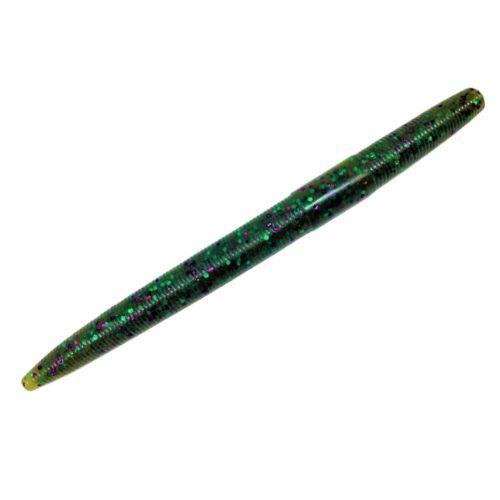 Pop the Topwater Frog over the surface of Lily Pads. 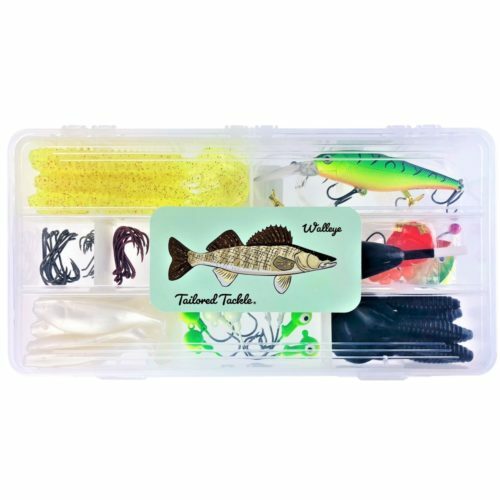 Swim the Paddle Tail Swimbait through schools of Shad. 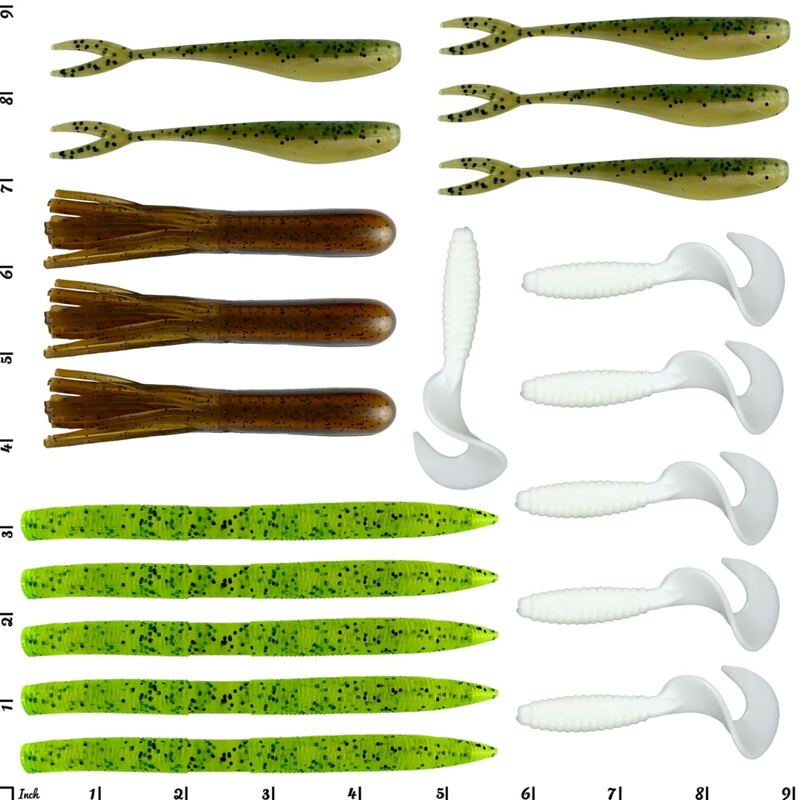 Run the Spinnerbait through grassy flats and wind blown bays. 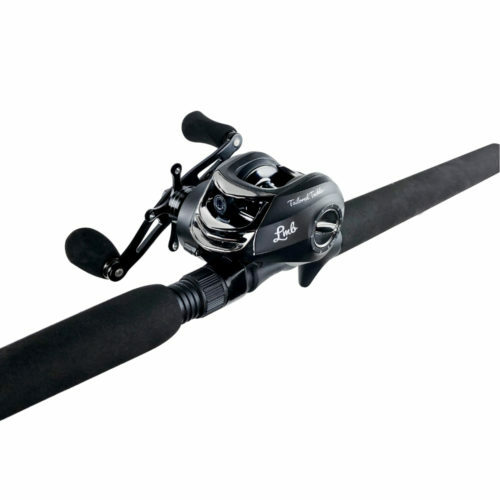 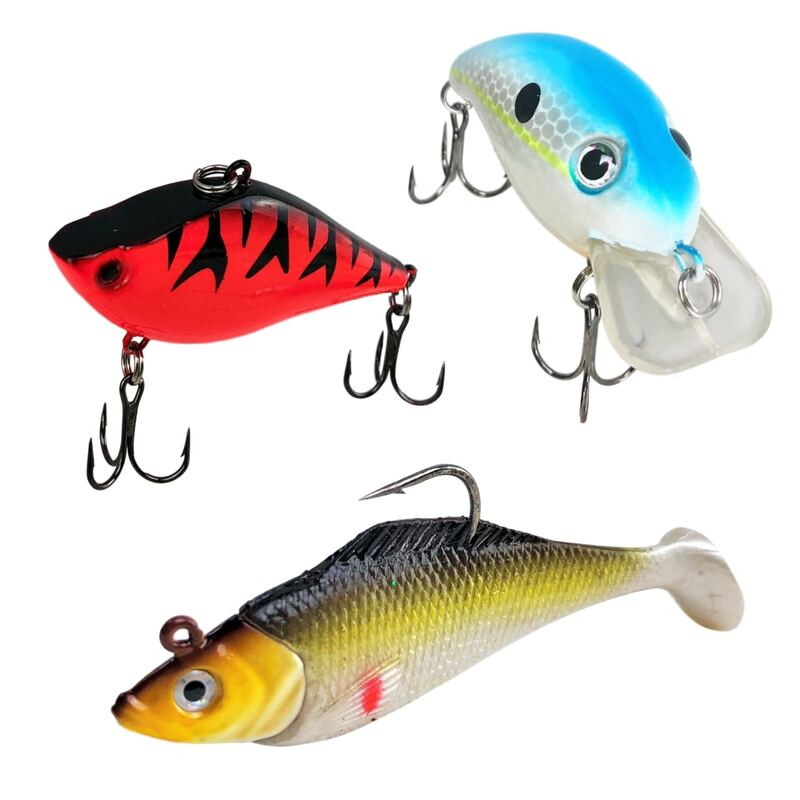 Gear up on all the classic bass fishing baits at an affordable price. 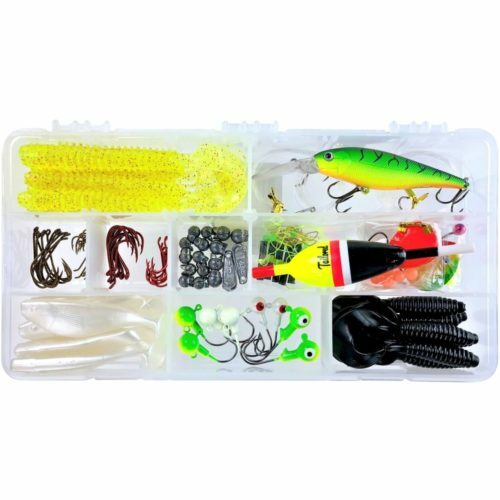 All the lures and baits in the Bass Kit perform great fished on our Bass Baitcasting Combo.